Crisis Text Line provides free support at your fingertips, 24/7. It is a free, confidential service available via text on mobile devices. It is intended to broaden the options available through current community crisis hotlines. Crisis Text Line’s goal is to move people from a hot moment to a cool calm. OACBHA has been tasked with rolling out statewide promotion of Crisis Text Line in Ohio. By working with the networks of numerous partners, we intend to expose as many people in Ohio as possible to information about Crisis Text Line in as many communities and settings as possible. OACBHA has constructed a toolkit of digital, print, and physical promotional materials to help individuals and organizations who wish to get involved in spreading Crisis Text Line in their community. The toolkit describes each resource and provides a link through which one can access the resource. It is also important for those seeking to promote Crisis Text Line to read the official Communications Guide to learn about best practices and guidelines for using Crisis Text Line Materials. Digital Crisis Text Line materials can be downloaded here. If you would like more information about Crisis Text Line, please contact Michaella Radich at mradich@oacbha.org or (614) 224-1111.Thank you for your interest in sharing Crisis Text Line throughout Ohio! 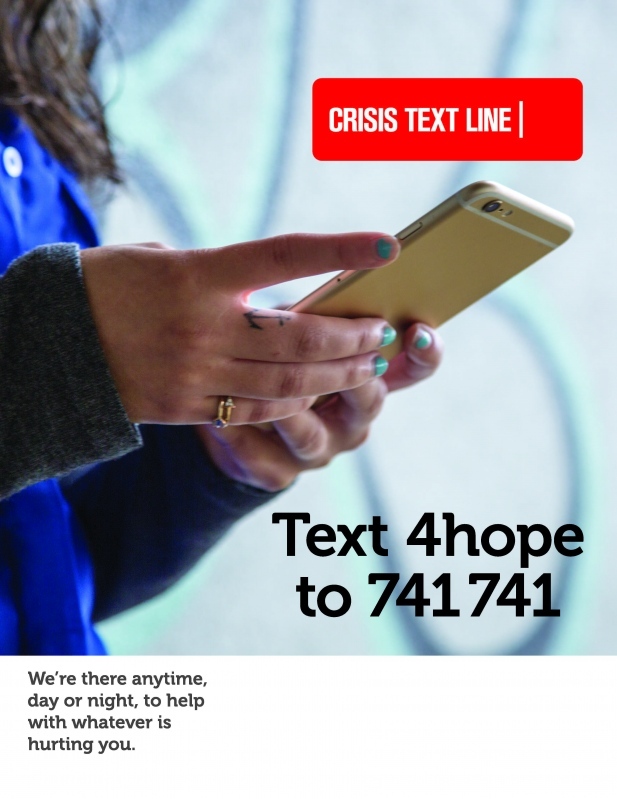 Click here to view the "4HOPE" Data Dashboard for Ohio for the utilization of Crisis Text Line!